CrossFit is a core strength and conditioning program. We have designed our program to elicit as broad an adaptational response as possible. 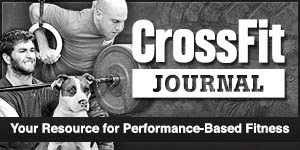 CrossFit is not a specialized fitness program but a deliberate attempt to optimize physical competence in each of ten recognized fitness domains. They are Cardiovascular and Respiratory endurance, Stamina, Strength, Flexibility, Power, Speed, Coordination, Agility, Balance, and Accuracy.